Earn 6 PDH’s! Water Industry Professionals Will Share Information on Relevant Distribution System Topics. 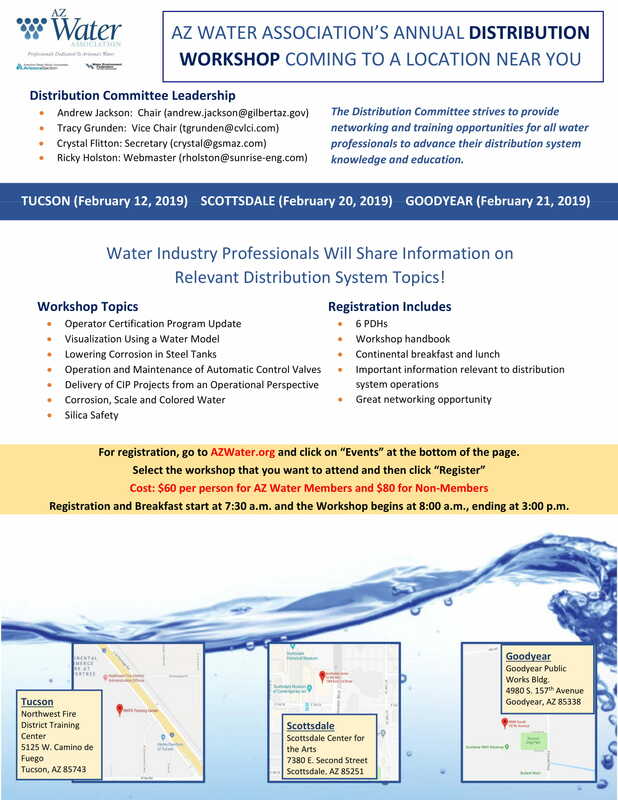 The Distribution Committee strives to provide networking and training opportunities for all water professionals to advance their distribution system knowledge and education.